Manual CBR Load Frame - Gilson Co. 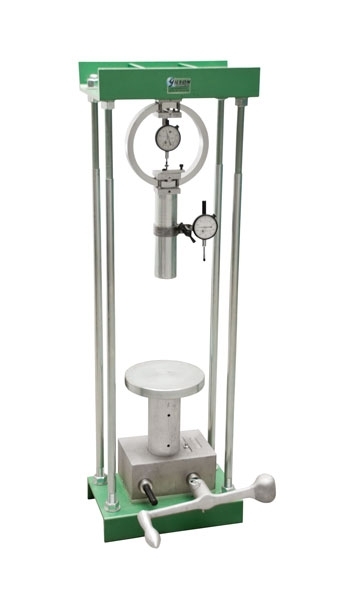 The Gilson BR-10 Manual CBR Load Frame is an affordable solution for CBR testing applications. Built with separate cranks for platen positioning and sample loading operation, the press meets specifications when cranked at the required speed. Does not require purchase of a separate component set. Load Ring, Dial Indicator and Penetration Piston are included.